Since our founding, JETT Landscape Architecture + Design has worked on numerous on-structure urban landscapes and developed an expertise with this highly technical project typology by working closely with our clients on both ground-up and retrofit projects. 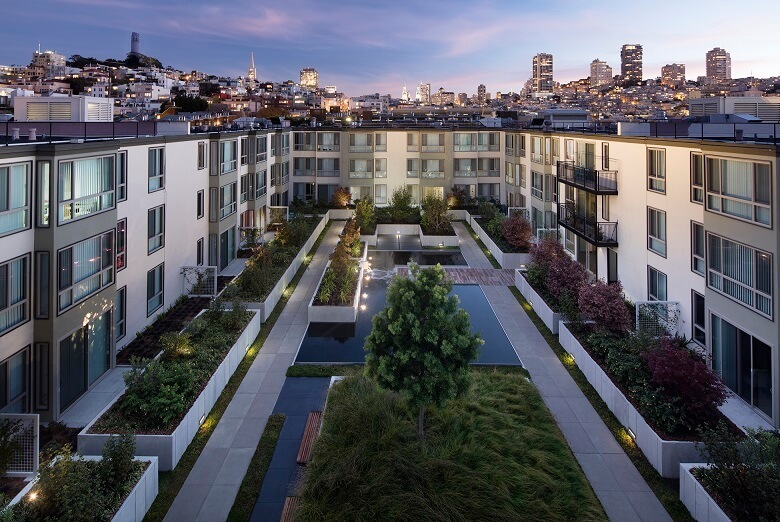 One of our recent successes includes NorthPoint Apartments, a five-courtyard podium renovation project in San Francisco. 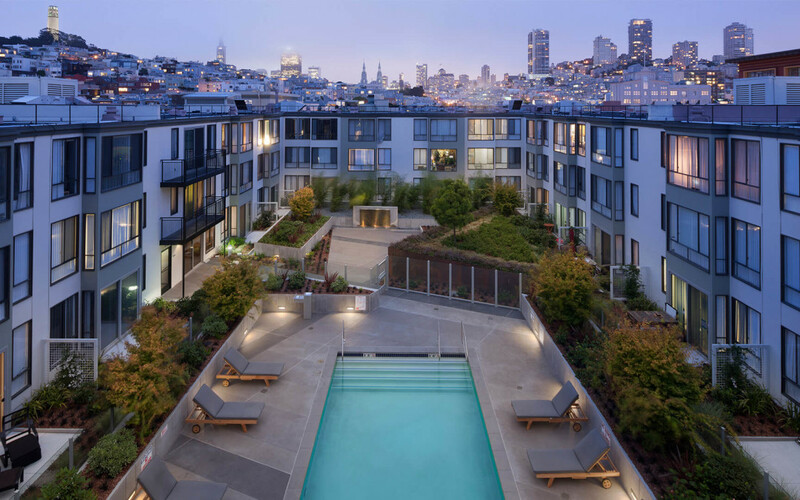 JETT collaborated with MBH Architects and a very talented team to recreate the courtyards in a way that would honor the original design by Lawrence Halprin’s office while bringing a unique, contemporary look to the project. The design team’s hard work seems to have paid off! 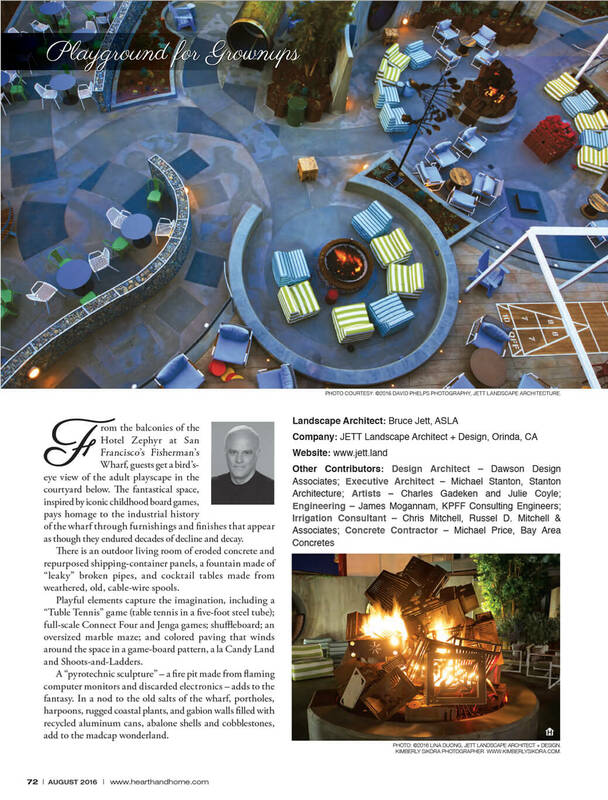 The project was featured in the February issue of Landscape Architect & Specifier News magazine. To read the article, CLICK HERE! 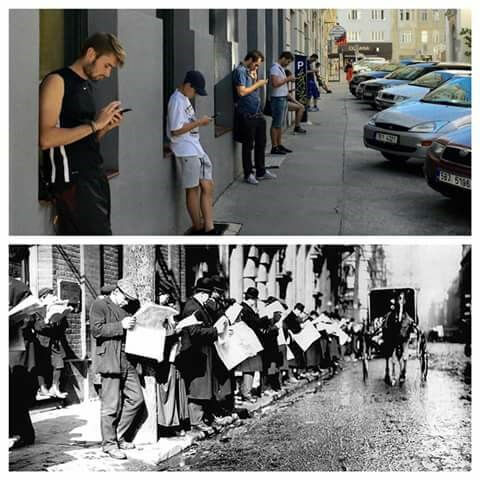 As a follow up to the Future of Pedestrian Space post (7.20.2016), we thought we’d share an image comparison (original photo source unknown) which proves that people do not change much even if media formats do. Pedestrian space will always be important to our daily lives – people love to hang out on the sidewalk to read the news or their (e)mail. 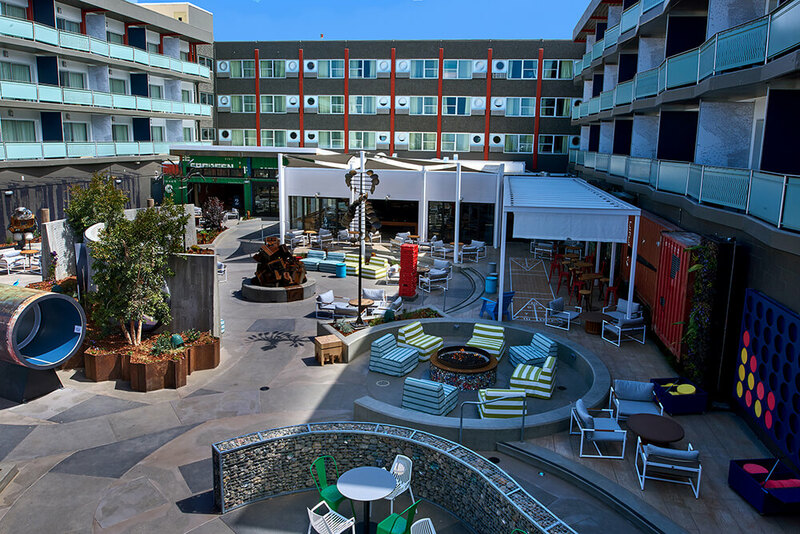 JETT Landscape Architecture + Design was recently featured in Hearth & Home Magazine’s August 2016 third annual Special Section on Outdoor Room Design Ideas, highlighting the firm’s contribution to the Hotel Zephyr at San Francisco’s Fisherman’s Wharf. The Hotel Zephyr was a collaborative effort, joining JETT Landscape Architecture + Design’s technical expertise with Dawson Design Associates’ concept in order to envision an urban adult playscape. Designs were influenced by memories of iconic childhood board games such as Candyland and Chutes and Ladders, and layered with materials to evoke an industrial wharf. The design intends to present users with an array of sensory delights within a series of zones offering opportunities for play and rest. You can learn more about the project by reading the article below or downloading the entire 32-page special section from this clicking this link. We are located on the last page.